“Oh your nails are so perfect, mine will never look like that” is what people usually say after asking their first question: “Can I have a look at your nails?”. Then we go into a discussion about the importance of a good nail care routine and doing manicures properly. But words are just words. It may be hard to believe that you can transform your ok-looking nails into a flawless manicure yourself. So today I’m sharing my step-by-step guide on how to do a perfect manicure at home. These are the steps I follow every time I do my nails without any exceptions. 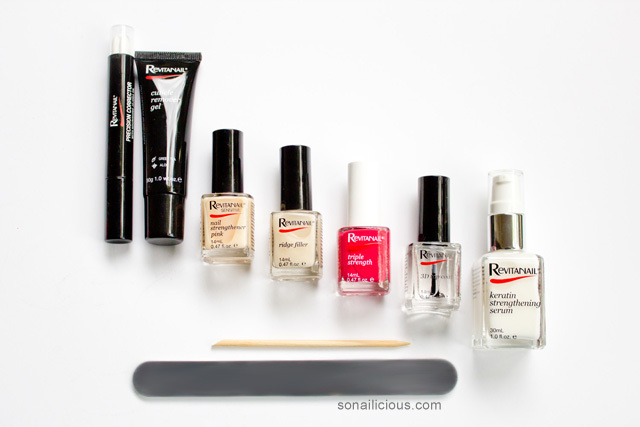 This time, troughout the tutorial I use Revitanail nail care products. 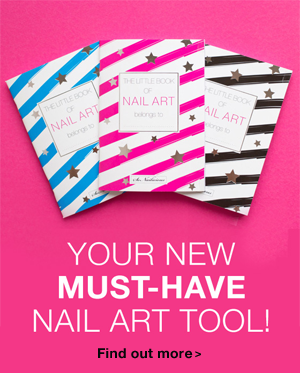 It’s an Australian brand that specialises in nail care. They offer a complete range of professional quality products to solve every possible nail dilemma making it super easy to execute great manicures at home. 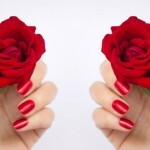 Groom: On clean nails, apply small amount Revitanail Cuticle Remover Gel, $14.95, wait 4-5 minutes. Gently push cuticles back using orange wood stick and wash hands with soap and water. 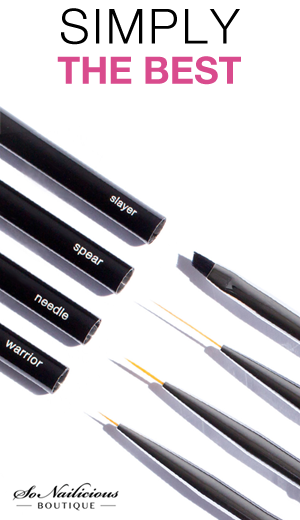 Smooth & File: Using special buffing file, accurately and gently smooth the nail surface. File the ends of your nails if required to give them a good shape. Strengthen: If you have weak nails, apply 1 thin coat of good nail strengthener on all nails and let it dry. I’m currently loving 3-free Revitanail Pink Nail Strengthener, $19.95, with Diamond powder and Vitamin E. Note: if you have very weak nails run Nail Strengthening Program. Even Out: If your nails have ridges, smooth out the surface by applying 1 coat of Revitanail Ridge Filler, $14.95, enriched with vitamin E and avocado oil, on all nails. Let it dry for 1 minute. Colour: Apply 2 coats of your favorite colour. Clean up: use acetone-free Revitanail Precision Corrector, $12.95, to erase polish mistakes around the nail edges without drying cuticle area. Seal the deal: Apply 1-2 coats of Revitanail 3D Top Coat, $14.95, for a gel-like finish and to prevent your manicure from chipping and peeling. Allow sufficient time for your manicure to dry. Done! 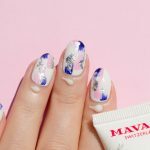 This DIY manicure tutorial may seem a little complicated but believe me, following it precisely not only will result in a flawless professional looking manicure, but also will save you a lot of time. This manicure will last at least 5 days chip free as well as improving the health of your nails significantly! Highly Recommended: use Revitanail Keratin Straightening Serum, $19.95, between or during manicures to strengthen and moisturise your nails. It can be applied over the polish. After you finished your manicure apply 1 pump of the Serum by gently massaging it into cuticles for 1 minute. 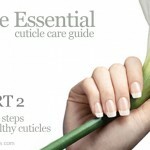 Then keep moisturizing cuticle area as often as required to prolong the life of your manicure. 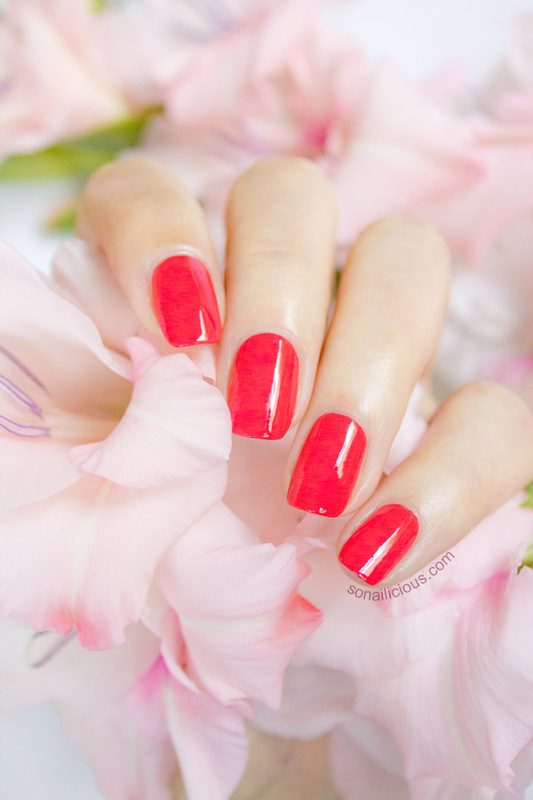 Dry nails are often the cause of nail polish chipping quickly. Revitanail Range Available: In Australia – via selected pharmacies, Priceline, Coles & Woolworths. Note that all RRPs quoted here are in AUD. For stockist details contact 1800 651 146. What about you guys, what routine do you follow when doing your nails at home? 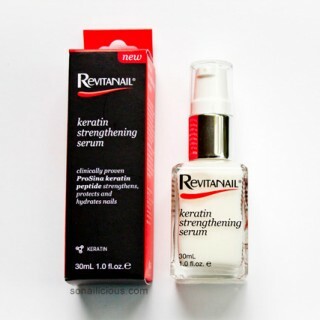 Have you used Revitanail nail care products before? Disclosure: this post is brought to you by Revitanail. The opinions expressed herein are those of the author and are not indicative of the opinions or positions of Revitanail. Read full disclosure policy here. Head over to the Revitanail Facebook page to find out about some great upcoming promotions and receive more expert tips.